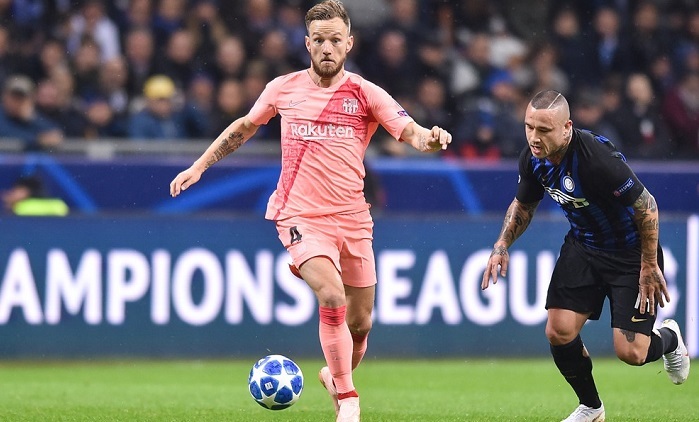 Handanovic turned away a Philippe Coutinho drive following the restart, before the goalkeeper blocked Ivan Rakitic’s tame finish, with Suarez furious that his goal seconds later was in vain as the ball was ruled to have gone behind for a corner. The breakthrough finally came just after Malcom’s introduction in place of Dembele, charging through on the right to meet Coutinho’s pass and shoot beyond Handanovic. Artur was sublime in the first 45 minutes, patrolling the midfield, before compatriot Coutinho came to the fore after the break. Returning to former club Inter, his close control around the penalty area gave Milan Skriniar and his team-mates nightmares, before a brilliant break and pass teed up Malcom’s strike. Inter’s chances were always going to be limited, but Icardi took the only one that came his way. The delivery to the Nerazzurri’s main man was too often poor, with Sime Vrsaljko – so impressive at the World Cup – particularly wasteful when given time and space. Inter need their captain involved to make strides in this competition. Inter’s attention now returns to chasing down champions Juventus in Serie A, with a tricky trip to Atalanta up next. La Liga leaders Barcelona welcome Real Betis to Camp Nou on Sunday.